"The red light was so vivid that the roofs of the houses and the leaves of the trees appeared as if covered with blood" (report of the aurora seen in San Salvador, September 2, 1859). Low-latitude red auroras, such as those widely reported to have been observed during the Carrington event, are a characteristic feature of major geomagnetic storms. 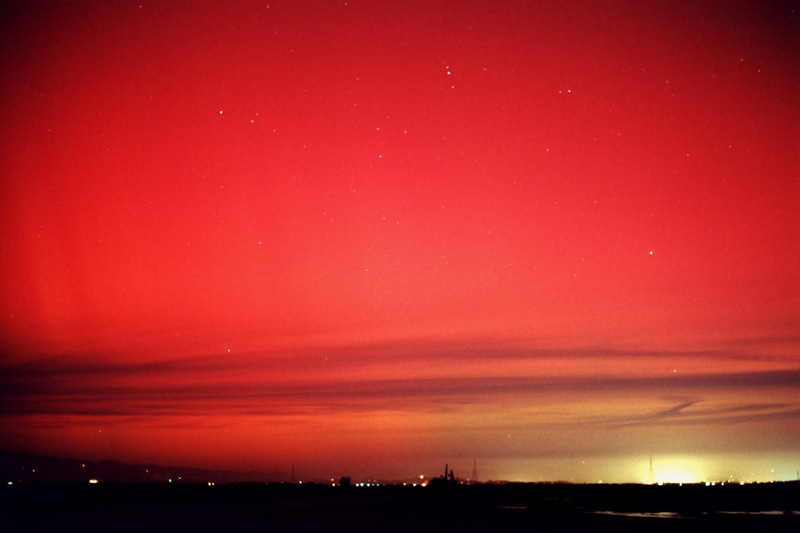 The aurora shown here was photographed over Napa, California, during the severe geomagnetic storm of November 5, 2001.